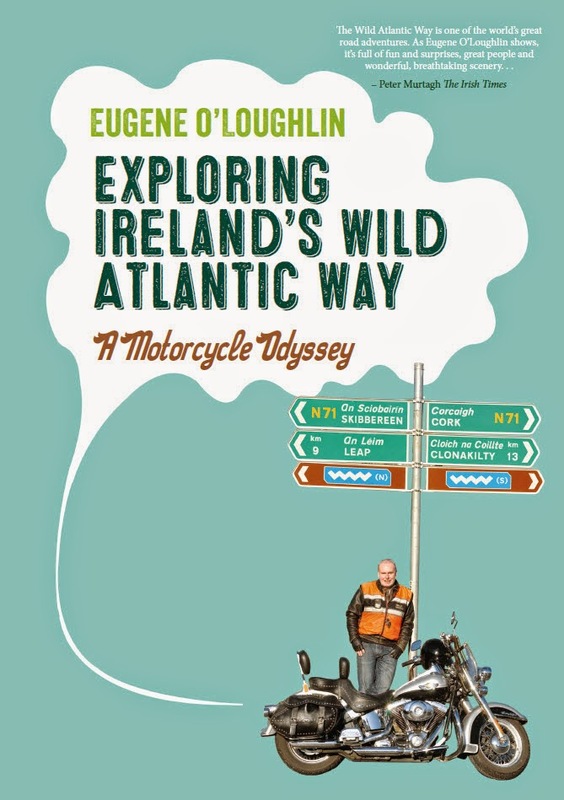 Undoubtedly the highlight of the year for me was the publication of my second book: "Exploring Ireland's Wild Atlantic Way" which was launched in June. The original print run is almost sold out and I had a great time in the early summer promoting the book on radio and at Bikefest. I'm working on a new book "Exploring Northern Ireland's Causeway and Mourne Coastal Routes" which will be out in 2015. It's two years and four months since my eldest daughter Claire left home to go to America. In January of this year we visited her in New York for just a few days - this is the only time I have seen her since she left. I miss her. With a bit of luck I'll get to see her in 2015! The number of times I have posted to this blog continues to decline - in 2014 I posted 161 times which is my lowest number of posts per year since 2009, and 101 posts less than my highest year in 2011 (262 posts). I used Twitter a lot more in 2014 - especially from January to July when I tweeted 3-4 times a day photos of the Wild Atlantic Way. One resolution for 2015 will be to blog a bit more - especially about education matters. My YouTube channel continues to perform well. I added several new videos in 2014 and had 2.75 million viewers for the year (made some money too!). For the first time the rate of increase in views has slowed. My most popular video remains "How To...Create a Basic Gantt Chart in Excel 2010" - it is almost four years old. I feel a bit like a fading rock star who hasn't had a hit for a long time. One disappointment was that a paper on YouTube analytics that I wrote and submitted to a conference was not accepted - one review was particularly savage! I may try again in the coming year. Back in July I took three days to tour the Causeway Coastal Route and the Mourne Coastal Route. A lot of the road (the A2) runs right along the seashore and it was a great ride that I enjoyed so much. I started at the border in Donegal and finished in Newry. I learned a great deal about these routes and the places of interest along the way. 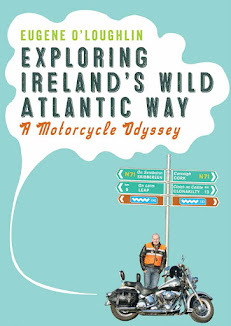 I am currently writing up this trip along the similar style of the Wild Atlantic Way book. I plan to publish it myself through Amazon Createspace and Kindle Direct Publishing. 2014 was a year where I got more involved with Data Analytics at work. I am now really enjoying my Statistics classes having revamped my notes and course resources to work better for the successful Higher Diploma in Data Analytics course at NCI. Each time I prepare and teach a new class I discover something new that I did not know before. I will continue to develop this some more as well as keep up-to-date with my Project Management and Business Analysis classes. 2014 was the year that my Dad Joe was operated on for cancer which he has now beaten. Even though Dad is 28 years older than me it is still a reminder of our mortality. I even had a medical check up this year and resolve to keep this up. I am now suffering quite a bit from sore heels and put this down to my weight. I'll have to find a way to do something about this. Also on a health note I passed the 100 blood/platelet donations mark just before Christmas.